This is an extremely thin and slippery mask and tends to slip around a bit. 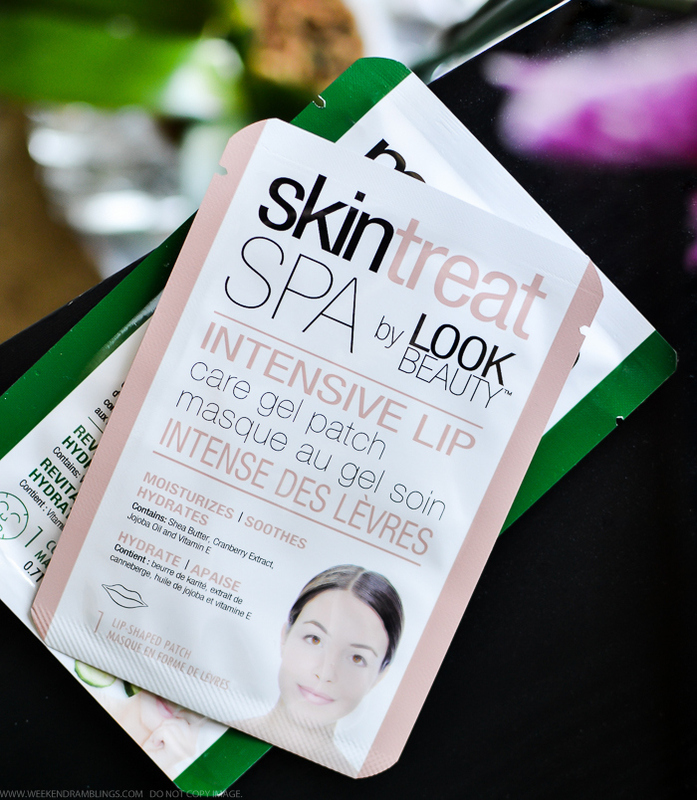 Look Beauty Intensive Lip Care Gel Patch Mask - apply to the lips for 15-20 minutes. 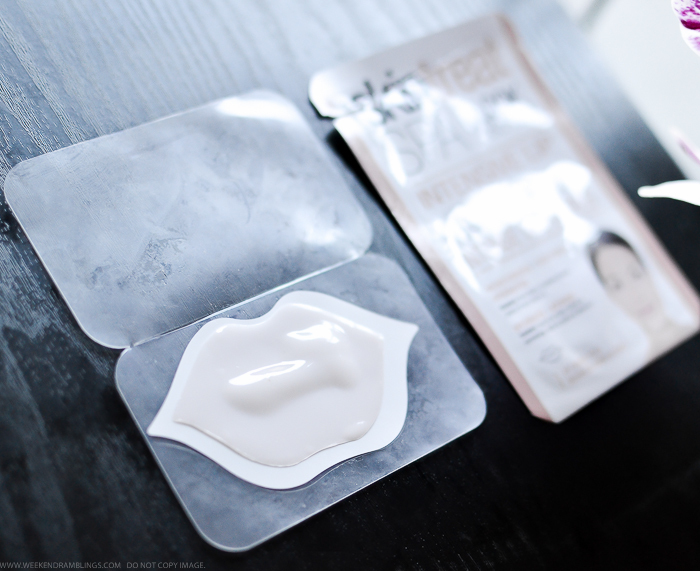 The Look Beauty lip mask is a thin gel-based mask. It is available as a pack of 4 individually packed, single-use masks. 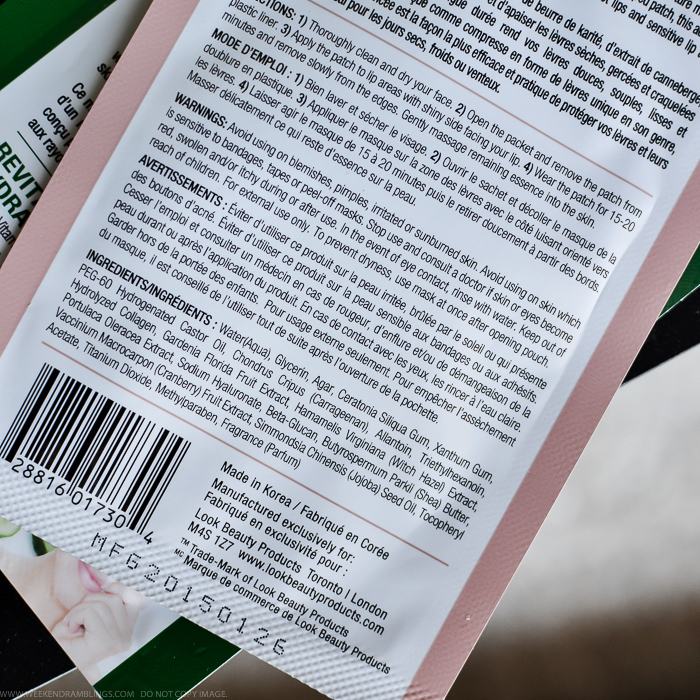 Inside each packet, the mask itself is packed in a transparent plastic cover. 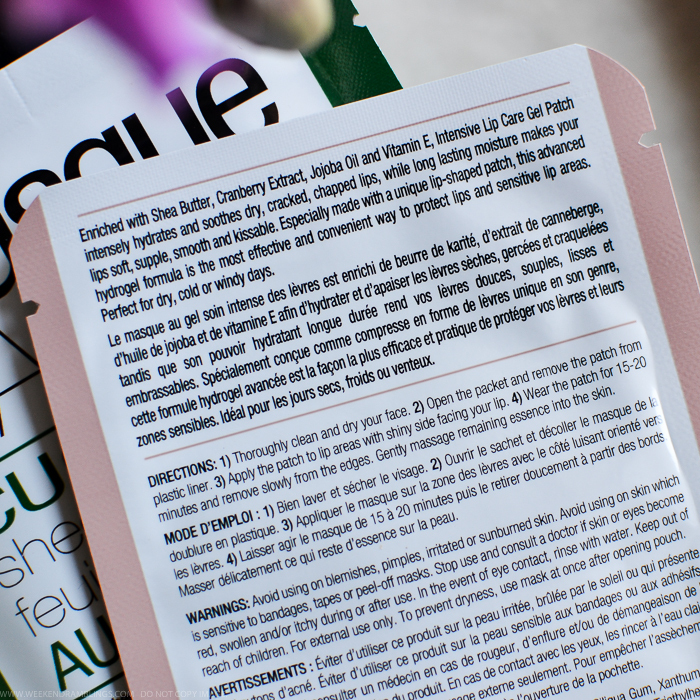 Because this is a gel-based formula, there is no dripping, gooey essence/lotion in the mask, but the mask itself is quite slippery and thin. To use, pick the mask and place it with the shiny side toward the lip. Since it is a bit flimsy and floppy and moves around so much, I have no clue which the shiny side is by the time I get it on to my lips. Anyway, once placed on the lip, the mask stays on there without any issues and will not fall off. The mask doesn't dry out even if you leave it open and out of the packet for a whole day, so it's not going to dry out on the lip. I just leave it on for the recommended 20 minutes and then discard the mask. I didn't have any extra lotion left behind on the lips to massage in either. 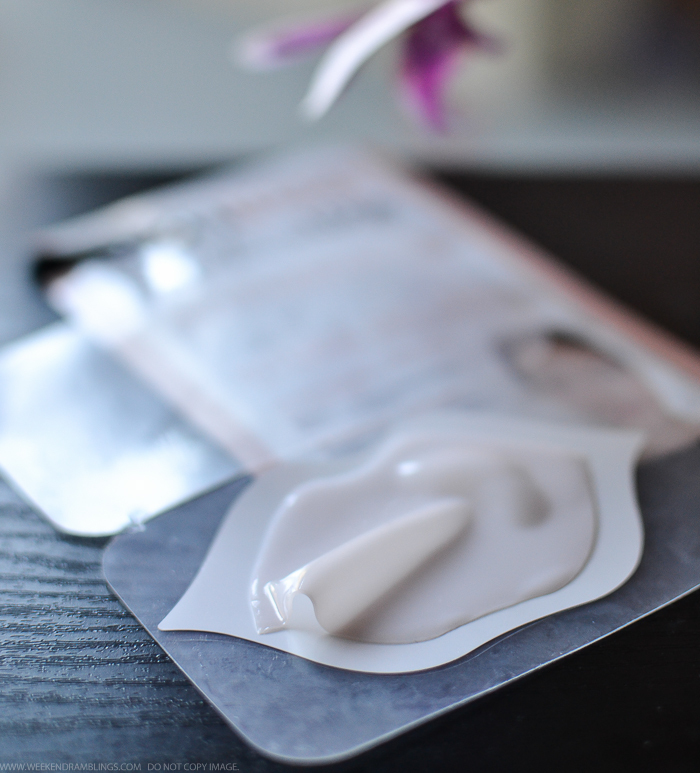 As for results, the mask does leave my lips smooth and moisturized, though it is not a long-term fix. It gives instant results, but if you have very dry, chapped lips like I do, this is not going to be a "cure." Look Beauty masks are currently available on Amazon and Target.